Artificial intelligence can beat humans when it comes to playing chess or GO. Yet, as we all know, real life doesn’t follow rulebooks. For artificial intelligence platforms to function at the next level and be able to recognize and adapt to dynamic environments, AI must become more than a tool that executes human-programmed rules. From navigating unfamiliar terrain and dangerous weather conditions to working in risky and highly stressful situations, AI could be of enormous aid to first responders and the military if AI systems could react appropriately when something significant and unexpected occurs, without needing to be retrained on a large data set. 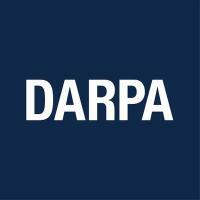 DARPA, or the Defense Advanced Research Projects Agency, announced the SAIL-ON program (Science of Artificial Intelligence and Learning for Open-world Novelty) to develop technologies and algorithms needed to create these responsive AI systems. For example, a goal of the SAIL-ON initiative is to lay the foundation to develop an AI system that’s capable of going through the decision-making OODA (observe, orient, decide, act) loop process developed by military strategist U.S. Air Force Colonel John Boyd. The SAIL-ON Proposers Day, scheduled for March 5, 2019, will also be webcast. Look for the SAIL-ON announcement on www.FedBizOpps.gov and on www.grants.gov. Questions about the program should be emailed to [email protected]. Last year, DARPA announced the “AI Next” campaign with a goal of advancing artificial intelligence technologies towards contextual reasoning capabilities. Pamela Rentz is a freelance writer and editor who has been working in marketing communications and PR for technology—from startups to Fortune 100 outfits—for more than eighteen years. She’s a regular contributor to TechWell.com and GardenTraveler.com. She’s also a Georgia Master Gardener and, when not writing, can usually be found in a garden somewhere. Get the latest stories delivered to your inbox every week. I agree to receive marketing communications from TechWell. I understand I can unsubscribe at any time.